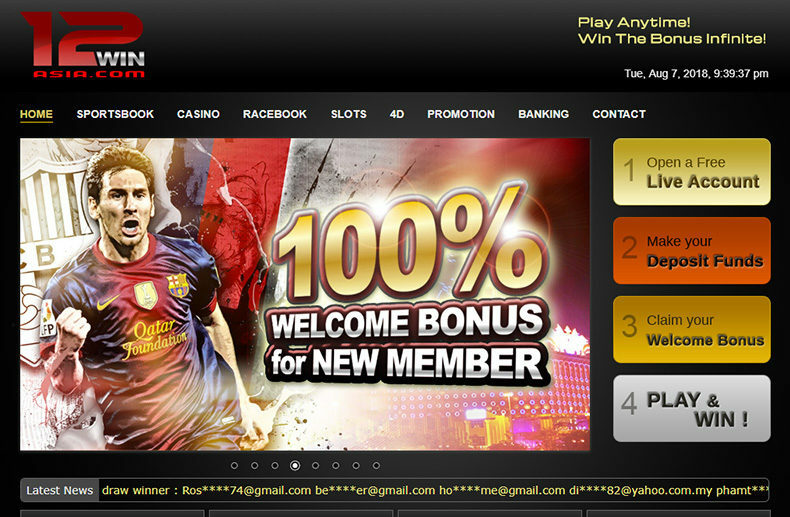 12WinAsia is an online casino for people who enjoy gambling, slots and betting, all in one safe, reliable place. The website is perfect for players who enjoy well-built platforms, many bonuses and a lot of users to network with. The team is here to make your journey even more pleasurable than it already is, offering their services non-stop for impeccable assistance. This is a platform which is powered by Playtech and Microgaming, the most appreciated casino games software exists on the market. Convince yourself by trying the services at 12WinAsia right now. What activities can the users choose? This site offers a wide array of activities that can keep the users entertained for hours. The platform is very appreciated for its extensive sportsbook for betting. The sportsbook contains a series of sports that people often choose for betting. The preferred one is football betting. As for the online casino games, 12WinAsia offers games such as poker, Baccarat, Roulette, Blackjack and many more. Sic Bo, Dragon Tiger, SeDie and FanTan are just a few of the minigames that you can play if you access their platform. More than that, It offers a racebook, where you can bet 4D. 12WinAsia is collaborating with the biggest 4D companies in Malaysia among which Magnum, Damacai and STC. At 12WinAsia, customers can enjoy numerous promotions that change regularly and keep the users entertained and engaged. The most appreciated bonus is the happy hour one, when you get 50% more slot bonus when you play. The super Wednesday bonus refers to getting a 20% deposit bonus when playing on Wednesdays. The bonus for a new member reaches 100% if choosing all the categories available on the website and the welcome bonus for one single category is 15% to 20%. Cashback is unlimited and can be done daily and instantly. At every redeposit, users will get an additional 10% bonus. Plus, there is a weekly lucky-draw of MYR88 on the platform. In order to receive the 100% welcome bonus, you have to make sure that the bonus you receive doesn’t exceed the maximum amount of MYR200. When submitting your deposit form, mentioned the bonus code which is dedicated to the welcome bonus and you will receive the bonus in your account. After 20 turnover calculations you will be able to make your first withdrawal. Remember that bonuses are cancelled if you don’t respect the website’s terms and conditions. Customer service and support – are they helpful? In terms of technical support, you should know that this platform is backed up by 128-bit encryption which is provided by the reliable company Thawte. The privacy of your data is not an issue. In terms of customer care, this online casino reached excellence by offering 24/7 support. The customer service department is ready to answer any given question and to solve any issue that you may encounter while using the platform. Remember to read the terms of the license before playing on the platform to avoid fraud or other security issues. At 12WinAsia, everything is going to be exactly as you expect. A team of professionals is prepared to help you and make the process as easy as possible for you. Gaming, betting and gambling right here is a true pleasure and you can actually gain a lot from trying this platform. Try the many promotions they offer, the variety of games and keep an eye on special bonuses. 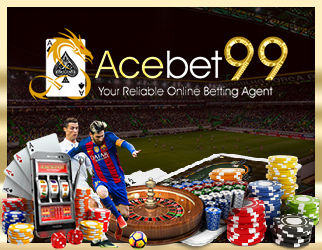 This is one of the Malaysia’s online casinos that you should try for yourself to see how different the quality of the services is compared to other sites you played on. Give it a try and it won’t disappoint you.